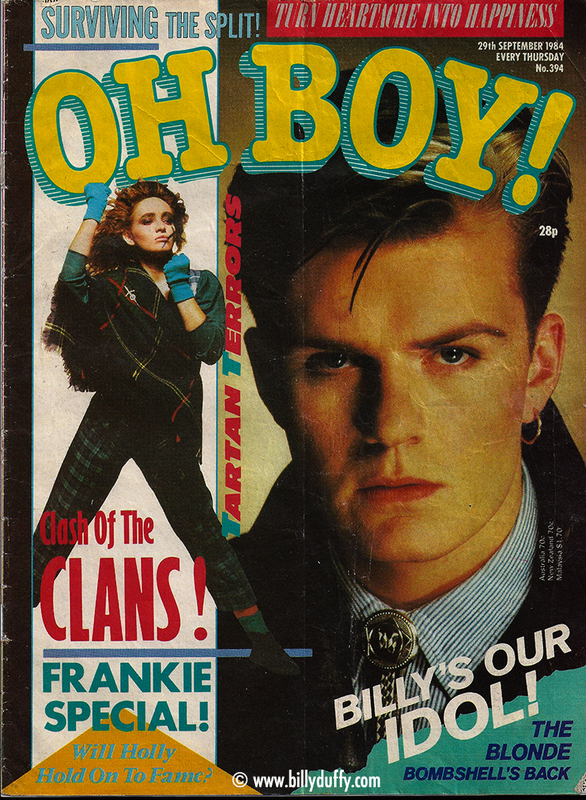 This cover of UK teen magazine 'Oh Boy' from 29th September 1984 is memorable because Billy's picture appeared on the front cover by mistake! The Caption 'Billy's Our Idol! - The Blonde Bombshell's back" was a reference to Billy Idol and his peroxide locks! Infact the inside back cover has the same picture of Billy with the caption 'Next Week: See Billy Duffy of The Cult on the cover! '.